Bad to Have a 3-Page Resume? How Long Should Your Resume Be? 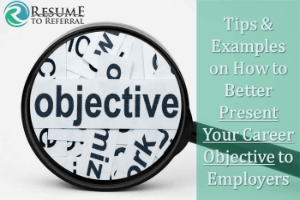 Here's a question from one of our readers about a 3-page resume: "I have been looking at a lot of resume building sites and have noticed that everyone says that I should have my resume down to 2 pages, but is it bad to have a 3-page resume instead? I am graduating from Geomatics Engineering and … [Read more...] about Bad to Have a 3-Page Resume? How Long Should Your Resume Be? Is Your Beyond.com (now Nexxt) Resume Review, Fact or Fiction? "Hey Teena. I received an unsolicited resume review from Beyond.com. They have provided a seemingly detailed review of my resume. Is this legitimate/for real?" **Disclosure: Beyond.com no longer exists and now operates as Nexxt.com. Unfortunately, the review you received from Beyond.com (now known … [Read more...] about Is Your Beyond.com (now Nexxt) Resume Review, Fact or Fiction?